Polished 18kt rose gold bezel & crown. Silver dial with a linear textured design. 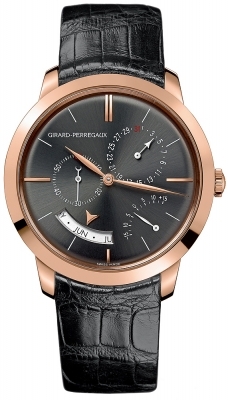 Fine printed minute/seconds track & Arabic Numerals in 5 minute increments on the perimeter of the dial. 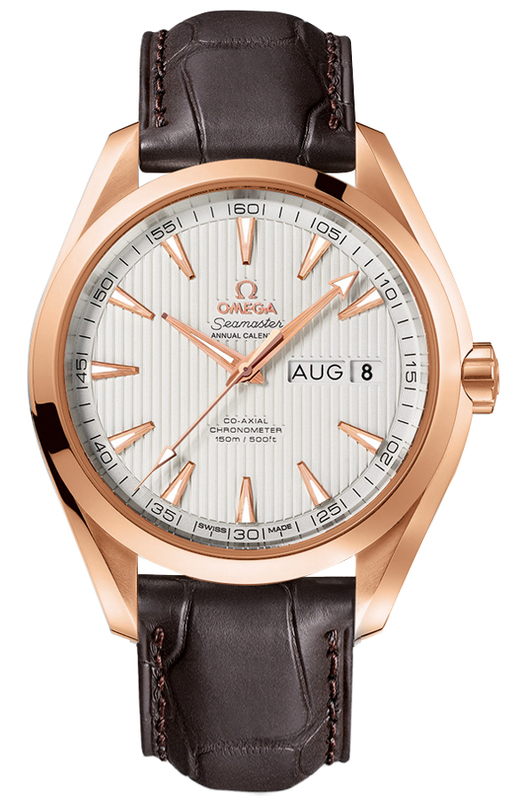 Applied rose gold toned index hour markers: brushed finished top, polished faceted/tapered edges & luminescent fill. 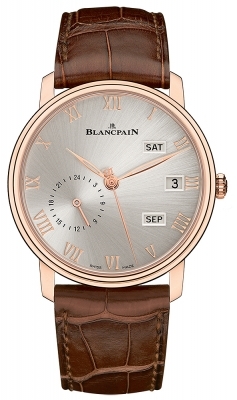 Rose gold toned hour & minute hands: Brushed finished top & polished faceted/tapered edges with luminescent fill. 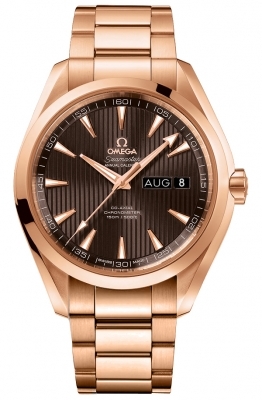 Rose gold seconds hand with luminescent filled tip. Day & date window located at the 3 o'clock position. 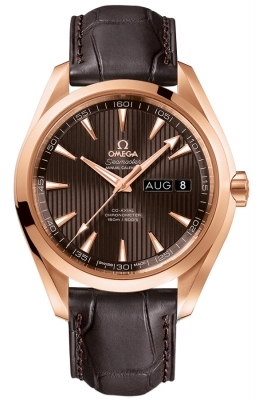 Omega caliber 8611, beats at 25,200 vph, contains 39 Jewels & has an approximate power reserve of 55 hours, courtesy of its twin barrels mounted in series.